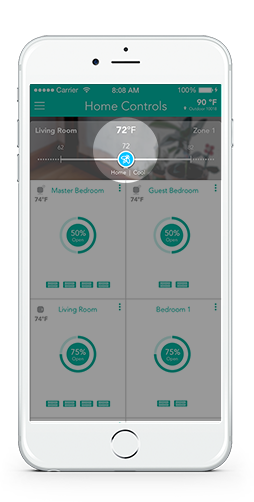 The temperature displayed at the top of your Home Controls screen should indicate the temperature your ecobee is reporting. If the number appears frozen and doesn't match your thermostat reading, there is most likely a synchronization error. In your app, tap the hamburger (three horizontal lines in the upper left) and choose Connected Devices. 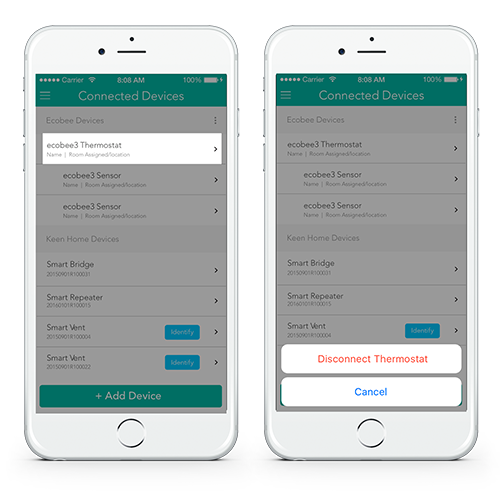 Tap the ecobee Thermostat to move to Device Information page. Then tap "Disconnect Thermostat" at the bottom of the screen. Tap the three horizontal lines in the upper left again and navigate back to the Home Controls screen. You should be able to re-add the thermostat to your account, and the temperature reading should match the thermostat's moving forward.